Click the button below to add the AURORA-3pcs MICROFIBER VINYL BROWN RECLINER SOFA COUCH SECTIONAL SET LIVING ROOM to your wish list. 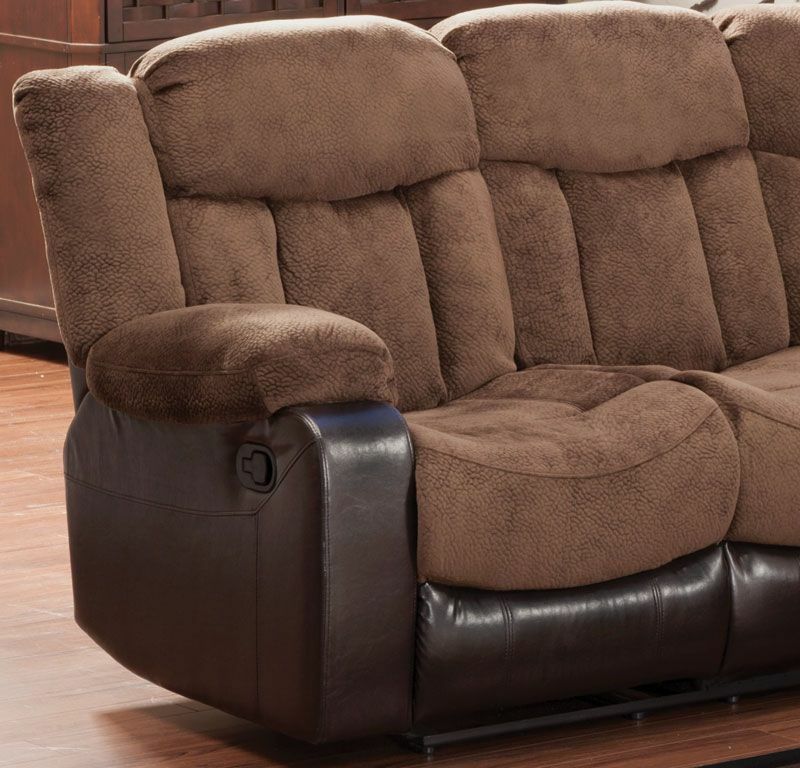 End reclining seats bookend the exceptionally comfortable Aurora Collection. The channel tufted chocolate textured plush microfiber seating is accented with dark brown bi-cast vinyl base and sides. 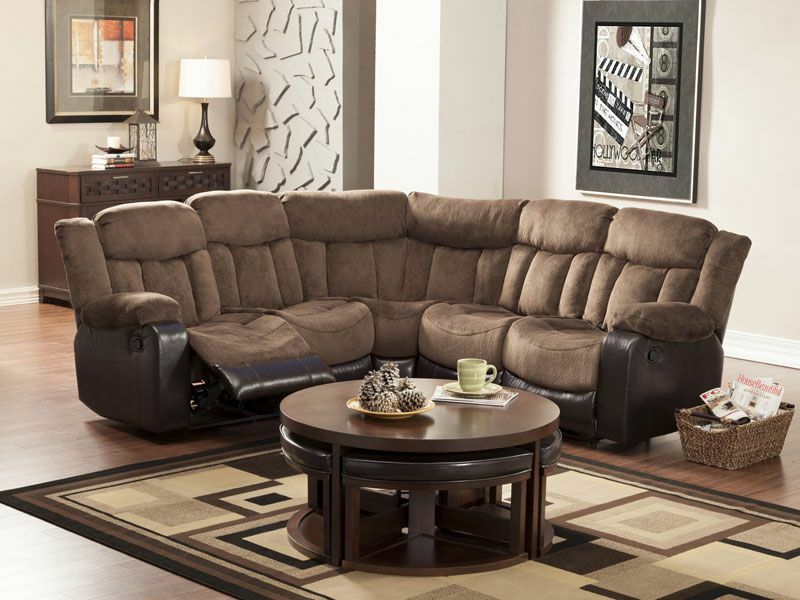 Pull tab recliners extend the end seating of this sectional offering with the center seats remaining fixed allowing for you and your family and friends to relax in comfort.